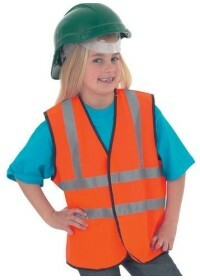 At hivis.co.uk we have a large selection of Kids Hi Vis Vests some of which comply to EN1150 standard. 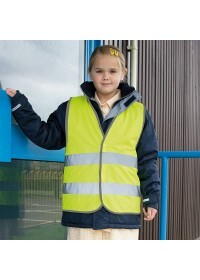 Our range of Children’s Hi Vis Vests are suitable for a number of different applications such as school children’s groups and walking buses. Pretty much any event where the visibility of the children within your group is of paramount importance, our Kids Hi Vis Vests can be of use. If you are required to personalise your Children’s Hi Vis Vest then we have a range of children’s personalised hi vis vests which are perfect for you. We can print or embroider your vests as you require and can include your logo or school or club name as well as ensuring a quick and reliable delivery. 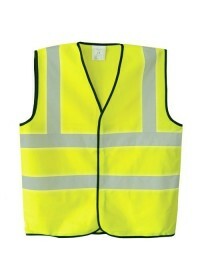 It is worth noting that with any Kids Hi Vis Vests that you choose to have your club or school logo printed on that they can be printed as laid out by you or we can make changes at your request. Most of our range use retro-reflective tape to ensure the children wearing the clothing are easily seen and visible no matter the conditions or time of day and this is imperative to ensuring their safety and wellbeing. If you would like to get in contact with our expert team to find out further information about any of our stock then please give us a call on 01744 814004. Alternatively, you can email us at hello@hivis.co.uk.